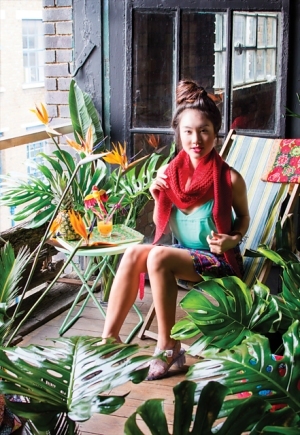 Taken from Pompom Quarterly Summer 2014: "Enlongated triangle scarf with Irish lace panel." This pattern is from Pompom Quarterly Summer 2014, pg 57 - Seaside Sundae. Size US 6 - 32" circular needles (or size needed to obtain gauge) and stitch markers are required but not included. Finished Measurements: 13" x 95.5" after blocking. Gauge: 22 sts and 30 rows over 4". Color Shown is Mini Skirt.